Are you are on Pinterest and have been doing everything that you can to gain success on the platform but not finding the results that you want.? If so, this post is for you. 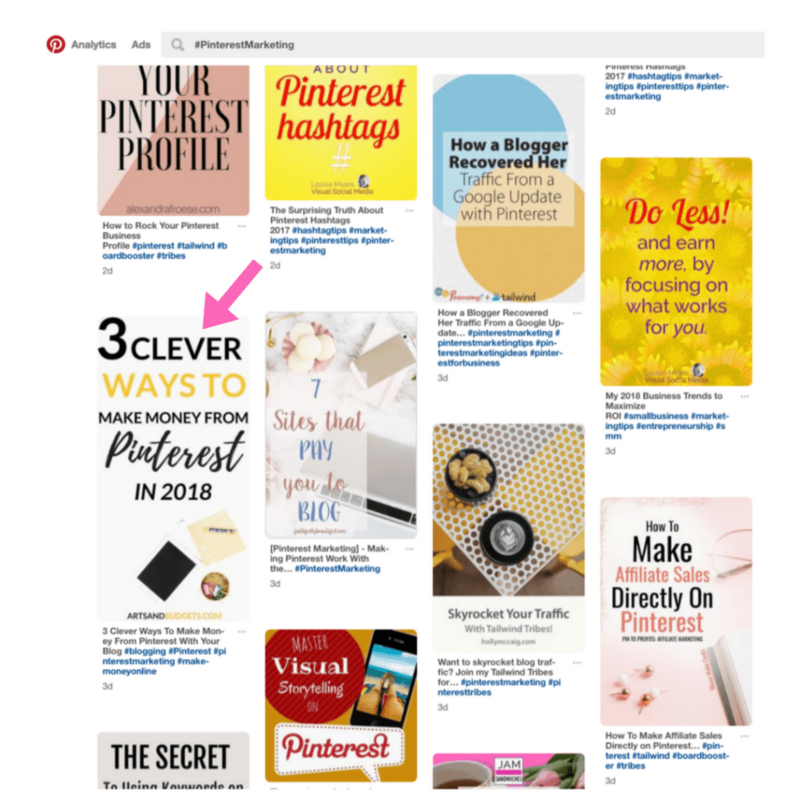 🙂 What if I told you that a lot of the success that bloggers get from Pinterest has a lot to do with the Pinterest pin that they create and pin? Yes, what I have noticed is that a lot of the success that many bloggers get from Pinterest is from the pins that they create. 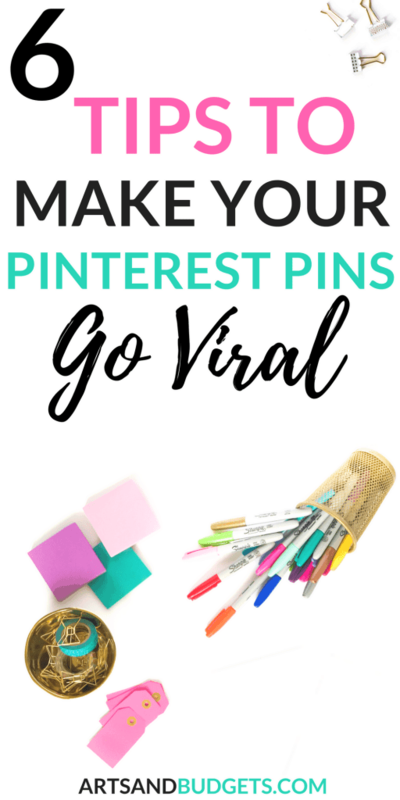 From my experience, creating Pinterest pins that stand out is really important for a pin to go viral on Pinterest. 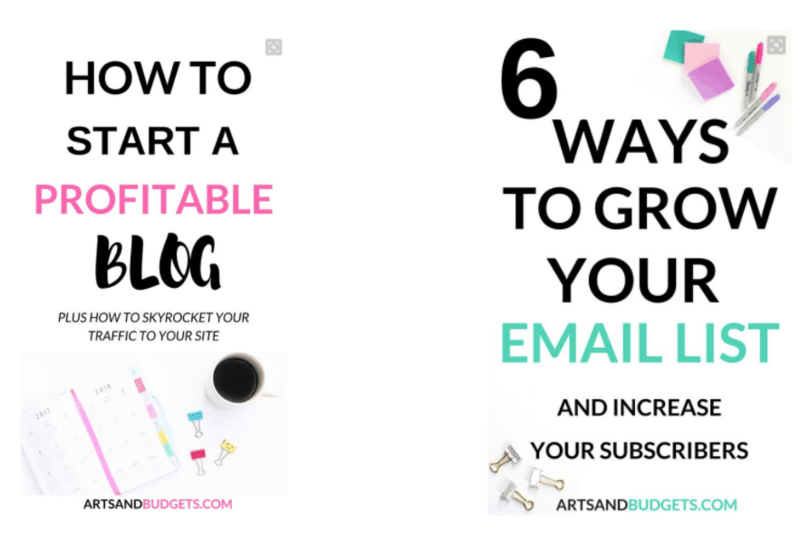 With viral pins on Pinterest, you can increase your traffic and income rapidly which is huge if you want to turn your blog into a successful business! This post will share some helpful tips that helped some of my Pinterest pins go viral. Do you currently use images on your Pinterest pins? One of the first things you want to do when creating new Pinterest pins is to add professional stock photos to them. A professional stock photo can take any pin to the next level and possibly get Pinterest users to click on it when done right. When picking out professional stock photos it’s important to find photos that aren’t blurry or hard to see. Think about it, when was the last time you got excited by a photo that was blurry or hard to see? Probably not recently, right? That’s because a lot of readers get turned off if the image on a pin is blurry or if they can’t read or see it. So, it’s very important to use high-quality stock images for your Pinterest pins. One of the first things I do, before I start designing my pins on Canva, is find relevant stock photos for my pins. Since a lot of my topics focus on blog growth and ways to make income from a blog or side hustles I tend to use a lot of computer and business-like stock photos. Below is an example of how I use stock photos in some of my successful pins. Where to find FREE Stock photos to use for Pinterest pins? You can actually find free stock photos right online. I went on a hunt and found over 30 different amazing places online that have a ton of free stock images. Everything from food images to computer and business images. If you want to see the full list of places online to grab free stock images click here. If you want your pins to become searchable on Pinterest and get a higher chance to get seen in the Pinterest smart feed make sure to add relevant keywords to your pin titles and descriptions. After writing a new blog post I save the pinnable image from the post right onto my main website Pinterest board. While repinning it to the board, I plug in relevant keywords in the pin description box. This method has helped many of my pins ranked on Pinterest and get featured in the smart feed. For example, when I typed in the keywords “Ways to make extra money” in the Pinterest search box just now the pins below popped up first. In the example above, I noticed that one of my Pinterest pins popped up in the search. When you type in relevant keywords and your pins show up from the search results it can greater the chance of Pinterest users clicking on your pins first which could mean more repins and clicks for those pins. How to find keywords for your pins? One of the best ways to find keywords is right on Pinterest. When I create a new post I normally go right to the Pinterest search box and type in relevant keywords that related to the post. After I type in relevant keywords in the search box, Pinterest populates other popular relevant keywords that I can use for my pin descriptions. In the example below I typed in the keywords “How to start a blog” and Pinterest populated other popular keywords that I use in my pin description as well. If you are looking to dive in deeper I go into more details on how to find the perfect keywords for your pin and boards descriptions in my course, Pinterest Superhero! Adding Hashtags on Pinterest is a newer feature on Pinterest and is a great way to categorize your pins with other similar pins. I tend to use about 3 hashtags per pins and I make sure that I use relevant hashtags. 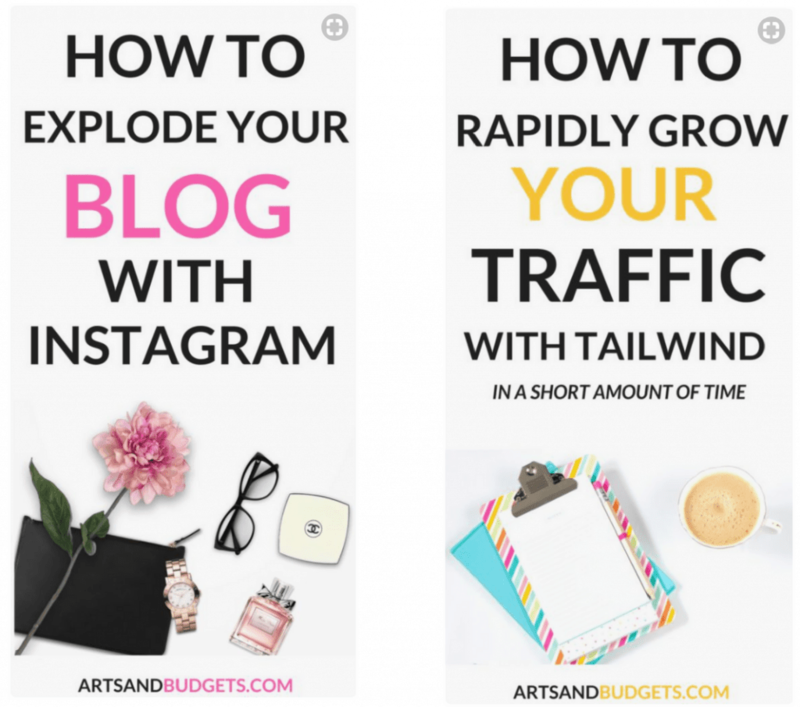 For example, if I wrote a post about increasing blog traffic with Instagram, I would use hashtags such as #Instagramtips #Instragramgrowthtips #Bloggingtips. All of the hashtags I just listed would be relevant to the post about growing blog traffic with Instagram. In the example below I typed in the hashtag #PinterestMarketing and one of my pins about Pinterest Marketing came up. Along with my pins are other pins focusing on Pinterest. Looking up certain hashtags is an easy way to find relevant pins within’ your niche daily. To find out how to find relevant hashtags to use you can check out this post on my site that shares how to find relevant hashtags and where to the hashtags at. Also, focus on titles that explain how you are going to teach your readers something because readers need to know what they will learn and how it will benefit them from your post title. 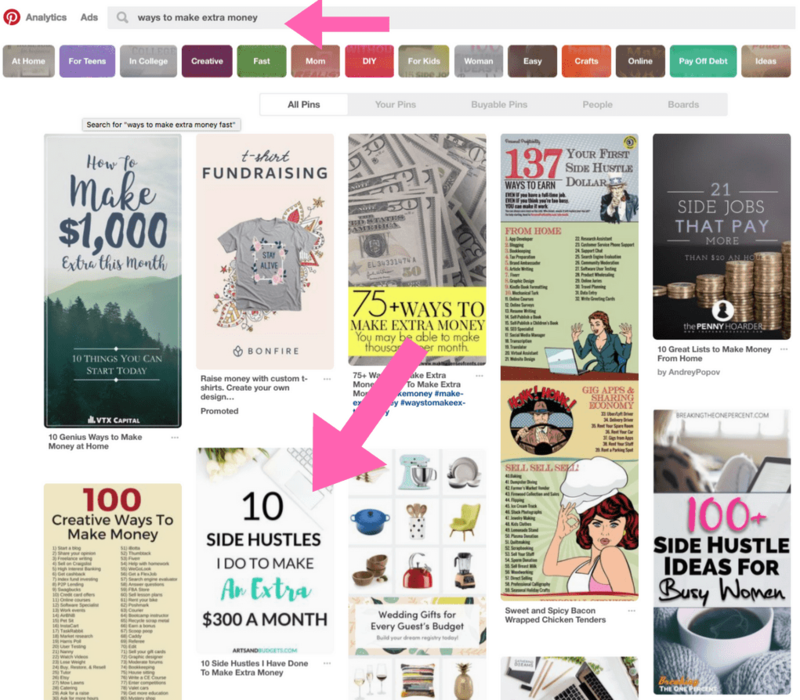 For example, If a person wanted to find a post about ways to make extra money they might type in the keywords “ Ways to make extra money” in the Pinterest search. Let’s say after they typed in their keywords they saw 2 Pinterest pins in the smart feed. Let’s say pin # 1 was titled, “25 ways to make extra money this month” and pin #2 was titled “ Make Money”. Which pin do you think most Pinterest users would click on? Probably pin #1, right? But why.? One of the most important steps to a viral pin is the branding on the pin itself. To stay consistent on Pinterest is uber important to use the same brand fonts and brand colors for your pins that you use for your website. Being consistent with those factors will help brand your pins and help your audience identify your pins in their smart feeds. So, I brand my pins with my website name, logo & brand colors. What has also helped my pins stand out is having 2 different easy to read fonts and 2 different colors on the pin. Lastly, I make sure to add large text over the pins to help with making the titles stand out. The example below shows how I set up my branding for some of my pins on Pinterest. Once you have your pins on your main website Pinterest board the next thing you want to focus on is your promotion strategy. I make sure to spend some time daily promoting my blog posts daily on Pinterest and Facebook groups. I always suggest setting up a consistent pinning strategy and pin throughout the day either manually pinning or by using a pinning scheduler such as Tailwind or Boardbooster. This method will help keep your pins in rotation daily which will help people seeing your pins in their smart feed. Another platform to promote your Pinterest pin on is Facebook in Facebook groups. I absolutely love Facebook groups for a ton of reasons. 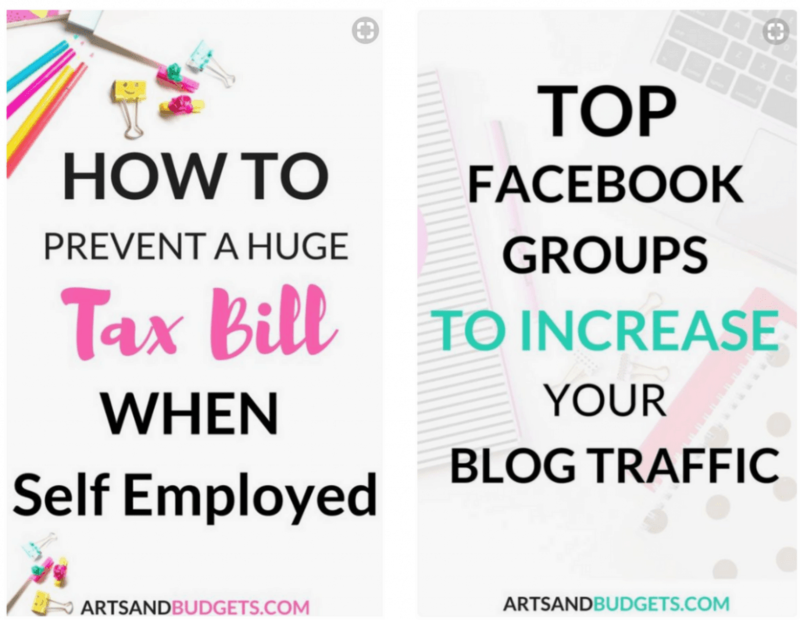 One of the main reasons is that you can promote your blog posts, social media profiles and more in the different groups. A ton of Facebook groups have promo threads where you can promote your latest blog posts daily. After a week or so of promoting your pins online check out your Pinterest & Google analytics to see which pins are performing the best. To find your best-performing pins using Google analytics check out this post on my site. To check your Pinterest analytics simply go to your Pinterest homepage and click on Analytics in the upper left-hand corner. When you get to the Analytics page you will see your top Pinterest impressions, saves and clicks from your pins within the last 30 days at the bottom of the page. On Pinterest, it’s super important to create vertical images over horizontal images. Horizontal pins can sometimes get lost in the Pinterest smart feed and overlooked and from my experience, vertical pins perform better on Pinterest. Currently, I use Canva to create my Pinterest pins and I absolutely love that platform. Canva is super easy to use and they even have a Pinterest template that you can use right on the site. An additional platform that a lot of bloggers use is PicMonkey to create their Pinterest pins. Both Canva and PicMonkey are great places to start if you are looking to design your own Pinterest pins. So, there you have it! 6 Tips that could give your pins the extra boost to go viral online. What are some things you add to your pins to help them go viral? Pinterest is fascinating to me – so much to learn! Great tips, too! I am new to adding hashtags to my pins – hoping it helps bring more traffic. Thanks for sharing! Loving these tips Latasha! I find that a pin going viral is sometimes completely up to chance. But having these 6 things in place definitely ups your odds tremendously! I just love pinterest! I had absolutely no idea you could add hashtags on Pinterest! Definitely going to start!! I really need to up my pinterest game and this is so helpful! Great post. Thanks for this! The idea of using hashtags on Pinterest still intimidates me a little, but I like your section on them. I’ll definitely be applying all of these tips to my own Pinterest marketing! Wow…..thanks for sharing so much valuable info….I clearly have a lot to learn. I’ve needed to step up my pinterest game and this is pushing me in the right direction! Saving!! Thank you for sharing this! I need to get better at not being lazy with my images. Stock photos turn me off a bit, even though I know they are more appealing because they look better, but they sometimes seem less genuine to me, which means i need to step my photography game up to get the best of both worlds! Thanks for the tips! I haven’t implemented hashtags yet! Thank you for these tips! I’m just now starting to use hashtags. I’m gradually getting a feel for their hashtag system. I have not been particularly good about using hashtags on Pinterest. Clearly, I need to change that in addition to a few other things. Wow this great. Thanks for this! I use Tailwind and I’m still trying to get the hang of promoting it. But it does come down to the types of pins you’re pinning in order to go viral.